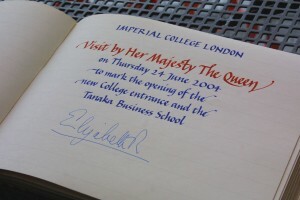 Ten years ago this week, Her Majesty The Queen crossed the threshold of Imperial College’s newly-built main entrance and Tanaka Business School* on a blustery, bright 24 June 2004 and made history. Surrounded by cheering wellwishers, she passed through the doors of the gleaming landmark building and paused opposite the imposing image of a multi-coloured scan of a brain, representing the brainpower of the institution. 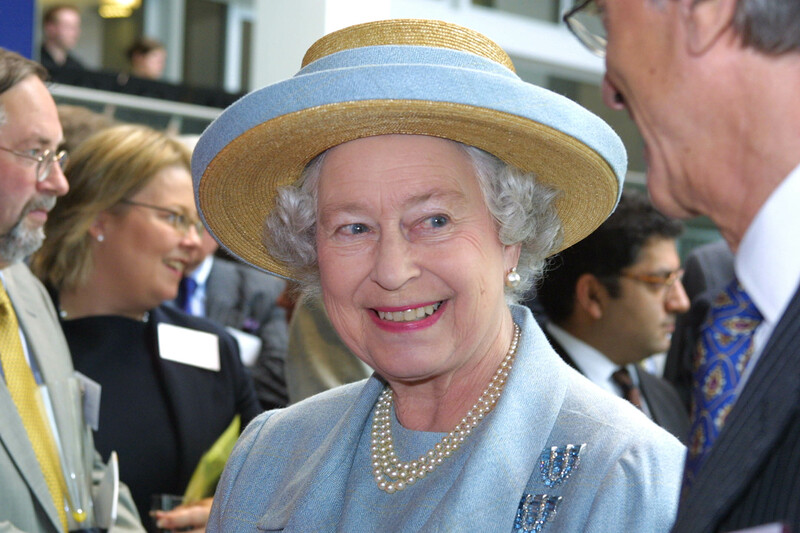 As a Malcolm Arnold fanfare struck up, provided by the College’s chamber orchestra, The Queen, accompanied by His Royal Highness The Duke of York, joined rector, Sir Richard Sykes to meet and speak to Lord Foster, whose company, Foster and Partners, designed the building. A visit to a lecture theatre, led by Tanaka Business School principal, Professor David Begg, included a few words with students to discuss the mortgage industry, as well as a closer examination of research projects and spin-out ventures. The Queen, Visitor of Imperial College, who last came to the College in 1998 to open the Sir Alexander Fleming Building, signed the visitors’ book before receiving a bouquet from eight year old Alexander Tanaka. * The building has subsequently been brought into line with the overall Imperial College branding and is now known as the Imperial College Business School. Professor Patrick Purcell (1929-2007) was described in his Times obituary as “Pioneer of computing and design“. As far as I know, this is the only interview made with Patrick, whom I got to know during his time as visiting professor of human computer interaction at Imperial College London. I had actually known him prior to that via LIVE-NET Video Conference from Northern Ireland linking through to Imperial. 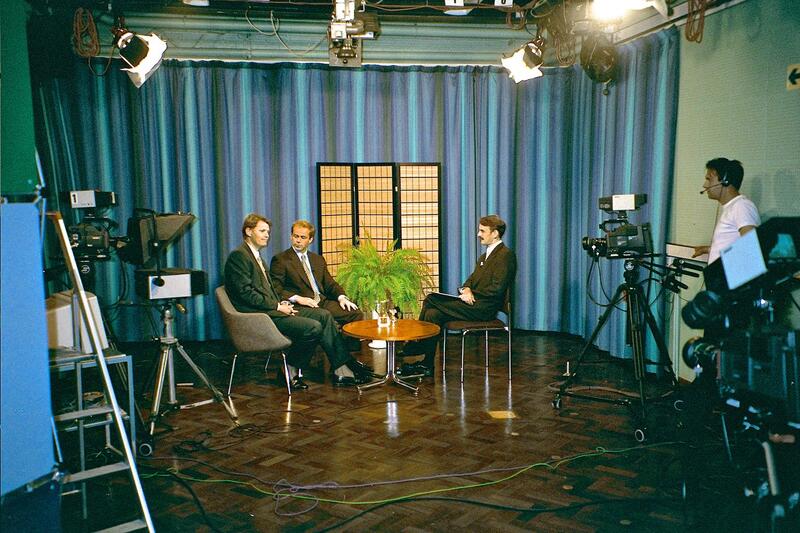 At my suggestion, this interview was recorded for an outside company called Lantec and was in the occasional series called Video Interface. Because of Patrick’s depth of knowledge of all things ‘digital’, this was the obvious first question posed to him at the start of the interview by Steve Bell. 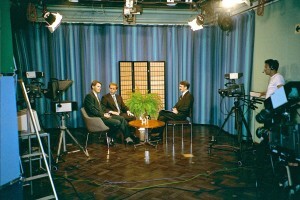 It was recorded in the Imperial College TV Studio in June 1995.